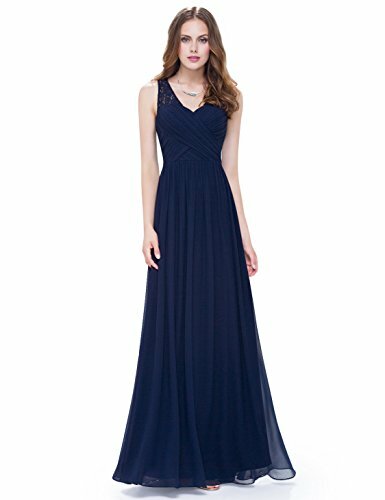 Women’s elegant V-neck long evening party dress. Unique lace-up design back of the dress. 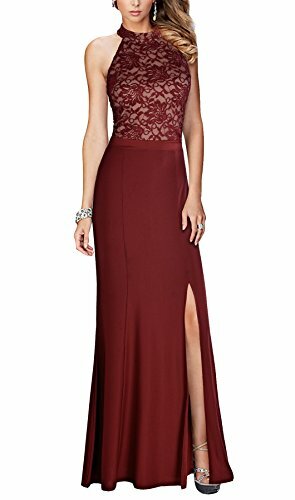 Simple and elegant, this evening dress features a flattering ruched bodice, lace neckline, and long flowy chiffon skirt. This dress can be worn for many formal events but we think it is an especially elegant choice for bridesmaids! This dress is fully lined and padded in the bust. There is no zipper, instead the dress is secured with a corset allowing you to customize the fit. On most women this dress will be floor length. Ever Pretty provide you with all beautiful formal dresses. 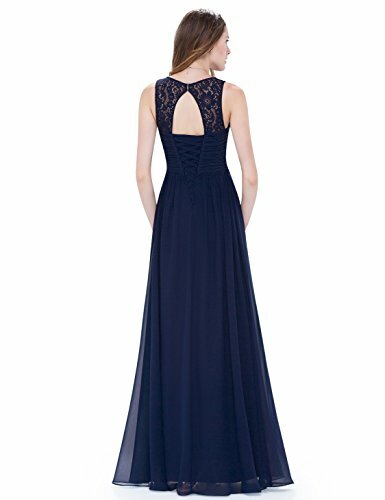 You can find any type of dresses in our shop. And we provide exchange or return within 2 weeks service. 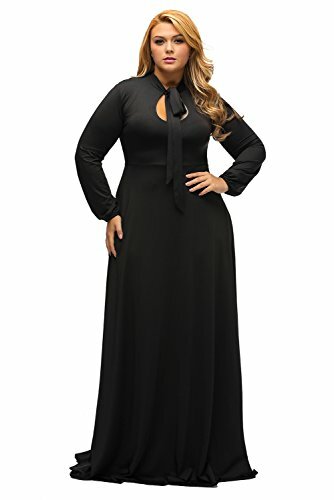 If you have any other questions about our dresses or policies, please contact us or Amazon, we will reply to you within 24 hours.